We recommend that you read this hardcover book - We will even give you a free copy - all you have to do is to pay the postage. There must be many cruising yachtsmen can recall the un-informed way they acquired their first cruising boat and then learned from experience what they ought to have bought if they had been better informed. Naturally, different people want different boats for different purposes and the number of books on the "ideal" cruising yacht is legion. Choosing for Cruising is somewhat different in that it does not set out to press any personal preferences. 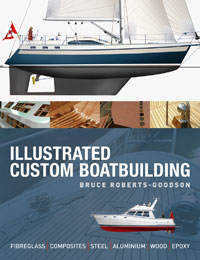 Bruce Roberts-Goodson is an ly known boat designer who has been In the business since the 1960s and with his own design company in Brisbane and offices in the US and the UK. 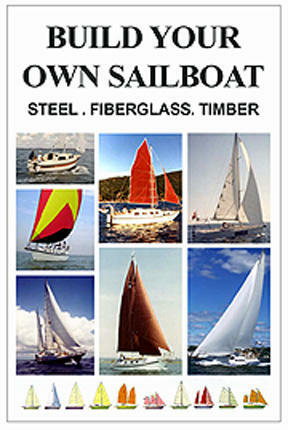 His design company has sold thousands of boat plans all over the world. The present book distills not only his long experience but also that relayed to him in hundreds of letters from cruising yachtsmen all over the world. 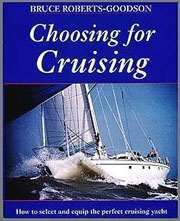 The book covers all aspects of cruising boats from hull and rig to interior accommodation, engines, ground tackle and all necessary equipment. Basically, the rule is to buy the very best (not necessarily brand new remember the boat jumbles), and here the author's professional expertise and his lists of equipment manufacturers and suppliers m many countries are invaluable. For example, you can buy diesel-powered galley and heating stoves from a Canadian firm; wind generators from a firm in Bedfordshire, and so on. Appendix 2 listing the author's recommended reading is also more useful than many such lists.